In Korea’s turbulent path toward independence and nation building, there were foreigners who stood steadfastly by the Korean people, although their contributions have been largely overshadowed by those of Korean patriots. 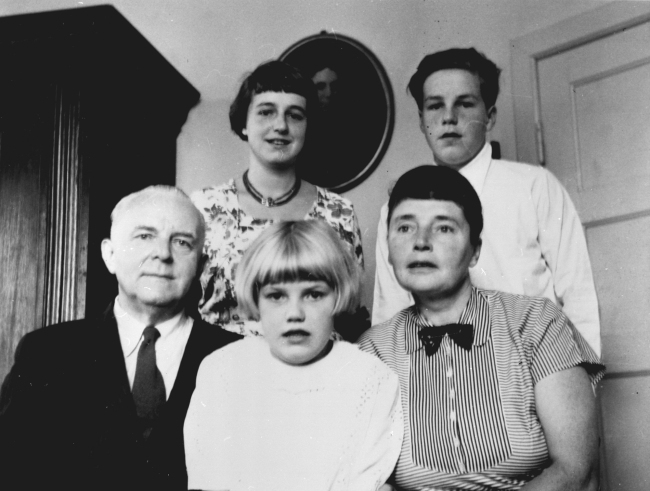 The Korea Herald, in partnership with the Independence Hall of Korea, is publishing a series of articles shedding light on these foreigners, their life and legacies here. The following is the third installment. ― Ed. Schofield attends a welcoming ceremony upon his return to Seoul in 1958. During the grim period of Japanese colonial rule in Korean history, Korea had nowhere and no one to appeal to for the injustice and suffering they underwent. However, that pain was seen and embraced by a British-born professor of Severance Medical School, Francis William Schofield, Jr., who photographed the March 1 Movement and the tragedies at Jeam-ri and Suchon-ri. With his help, Korea was able to show the world their plight under Japanese colonialism. Schofield was born in Rugby, England, on March 15, 1889. His mother passed away days after giving birth. His father, a teacher and devout Christian, was very strict with his children. Schofield graduated from high school in 1905, but was not able to attend college due to family circumstances, and was treated only as another mouth to feed. Moving from farm to farm due to his household’s scant income, he later emigrated to Canada in search of a new life. Canada was the new world he had hoped it would be. In just over half a year, Schofield saved up enough money to enter Ontario Veterinarian College. Although he suffered from financial hardship and adverse conditions, he never took his eyes off his goal. In the summer of 1909, his left arm and right leg were paralyzed from polio, but he threw himself into his studies, finally graduating first in his class. At the same time, he was hired as an assistant in the Bacteriology Laboratory of the Ontario Health Center, where he earned a Ph.D. in veterinary science while conducting research late into the night. Recognition of Schofield’s extraordinary talents saw his alma mater appoint him as professor in 1914. In the spring of 1916, Schofield received a letter from Oliver R. Avison, the director of Severance Medical College in Korea, stating that they were having difficulty with medical training because the college lacked a professor of bacteriology. Although Schofield’s acquaintances discouraged him from going to a foreign land, this only piqued Schofield’s curiosity about Korea all the more. Schofield headed for Busan with his wife two months later. Arriving at Seoul Station, the Schofields were warmly welcomed by the Avisons and associates of Severance Medical College. Unexpectedly, Yeo Byeong-hyeon, the first and only Korean Scofield had known until then, was also present. In the summer of 1897, when Scofield was 8 years old, Yeo had visited his home to meet his father. Schofield was tasked with teaching bacteriology and hygiene at the school, but taught through a translator as he spoke nearly no Korean. Not only did this deeply frustrate him, but his students could not understand his lectures properly. 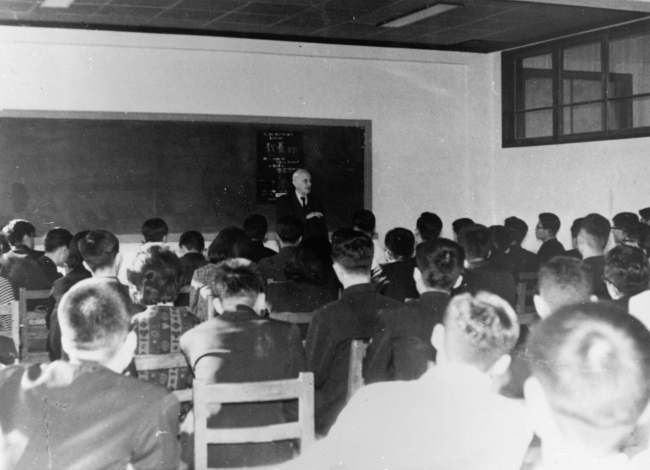 Schofield thus learned enough Korean within two years to be able to lecture by himself. He also became deeply interested in Korean history. Schofield took the Korean name of Seok Ho-pil. He had chosen the words for their meaning: “Seok,” or “rock,” symbolized a firm will; “ho,” or “tiger,” fierceness; and “pil,” meaning “to help,” signified helping the weak. In his leisure time, he walked around the suburbs of Seoul and visited Koreans, even if they were not Christians. The people Schofield respected the most were Yi Sang-jae and Kim Jeong-hye. Yi, who formerly served as the vice president of the Independence Club, the first civic movement organization in Korea, headed the Korean YMCA as its president. Kim was a champion of female vocational education in Korea, having founded Jeonghwa Girls’ School in Gaeseong (in present-day North Korea) with money she raised by selling all her possessions. These two loved Schofield as their son. In February 1919, Yi Gap-seong visited Schofield during a raging blizzard. He was wrapped in a thick overcoat asked Schofield to lend his aid to an imminent street protest against the Japanese occupiers, which later became known as the March 1 Movement. Without hesitation, Schofield accepted and began to collect sources for international newspapers and magazines to support the Korean independence movement as best he could, taking great care to keep his activities secret from the authorities. On the morning of March 1, 1919, Schofield had his hand on the camera hanging on his shoulder. From the park, a loud cry of “Long live Korean independence!” erupted. A line of people carrying Korean national flags poured out into the streets like a storm, and Schofield pointed his camera toward the crowd, pressing the shutter nonstop. When the line of demonstrators moved toward Waeseongdae where the Japanese Government General of Korea was located, the military and mounted police quickly mobilized from Yongsan to block their path and brandished their swords in front of the unarmed demonstrators. Schofield wanted to photograph this sight on film, but could not get near due to his paralysis. Looking around, he saw that one of the houses in the street had a second-story window open, went up there, and was able to capture the sight of the Japanese soldiers mercilessly cracking down on the protestors. After the atrocities in March, the Japanese troops exhibited their cruelest display of despotism during the April 15 Suwon Incident, which saw the massacre of civilians in the town of Jeam-ri in Suwon, Gyeonggi Province. Schofield resolved to photograph the event for posterity. He got off at Suwon Station, slowly rode his bicycle down the road and found two children crying by a grave on a hill. The photograph he took of this scene would later play a decisive role in exposing the savagery of Japanese colonial rule. 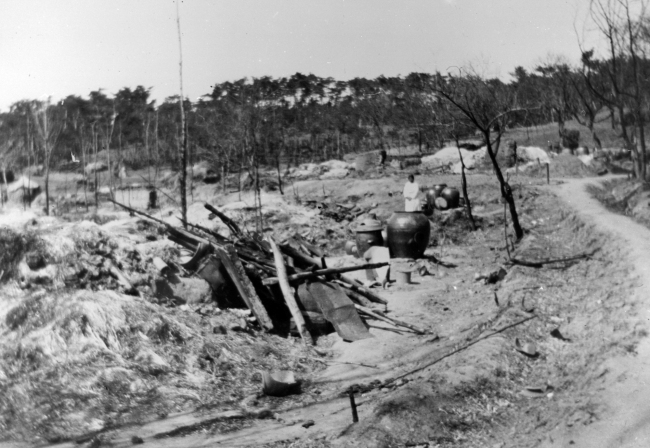 Schofield continued on to Suchon-ri, where the Japanese had again left traces of the horrors they had committed. The Japanese plotted to stop Schofield by exiling him from the country. His fellow missionaries unanimously advised Schofield to stop carrying out activities that the Japanese disliked, saying that he should restrict himself to education and missionary work. The 1920 semester saw the beginning of the end of Schofield’s four-year contract. He was not allowed to stay longer because colonial authorities despised his activities in Korea. Schofield thus thought about what he could do to help Korea afterward. The Japanese sought to thwart him, but had already failed in their plan to destroy all the records he had collected. Schofield smuggled out the photos he had gone to great lengths to take by wrapping them them tightly in the bandages of his right leg, planning to distribute them internationally. Even after the fatigue from his long journey, the first thing Schofield did when he arrived on Canadian soil was to expose the brutality of the Japanese and give a full account of the March 1 Movement to the world. The pictures he had taken in Korea were printed and distributed widely, and “Unquenchable Fire” was submitted to a publisher in London ― who replied, however, that publication was impossible because of the British-Japanese alliance. Schofield then sought out Syngman Rhee (who later became the first president of the Republic of Korea) in Washington, D.C., for advice on getting his work published, but to no avail. Nonetheless, Schofield continued supporting the Korean Independence movement in North America. Korea gained its independence in August 1945, when Japan surrendered to the Allies, ending World War II and the 35-year colonial rule of Korea. 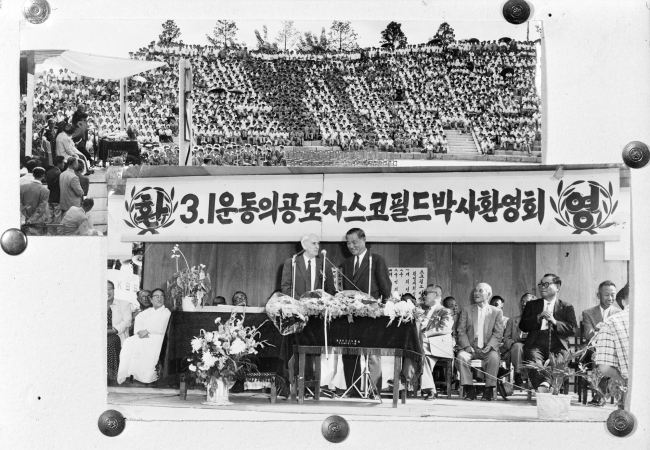 In 1958, Schofield was invited by the government to the 10th anniversary of the founding of the Republic of Korea, and once again stepped on Korean soil. His return after 33 years was greeted with a huge welcoming ceremony. Although the country had not yet completed its reconstruction from the devastation of the Korean War, the Republic of Korea had become an independent country as he had wished. On the recommendation of his friends and students, he obtained Korean citizenship and officially became Seok Ho-pil. On April 12, 1970, he died at a Seoul hospital, aged 81. Schofield was laid to rest at the Korean National Cemetery, becoming the first foreigner to be buried there.